EHS: what is it all about? It was three years ago in 2012 that our EHS journey began. Our signed up for the EHS conference held in Bethesda Bedok Tampines Church. 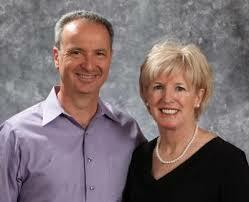 Peter and Geri Scazzero were there to teach at the conference. Peter taught clearly about and important need in most churches: the need for emotional health and contemplative spirituality. The church has forgotten that part of maturing spiritually is being fully human and that includes emotional wholeness. And that is what the content of the EHS is essentially about: learning to be emotional healthy and to love well. Part of the ecology that supports loving well is learning to slow down and cultivate a rhythmic contemplative lifestyle. They have a package that can be used to introduce the EHS to the church. It comprises sermons on Sundays (available on-line), a devotional to be used to cultivate the contemplative spirit, a workbook and video for cell groups to use. 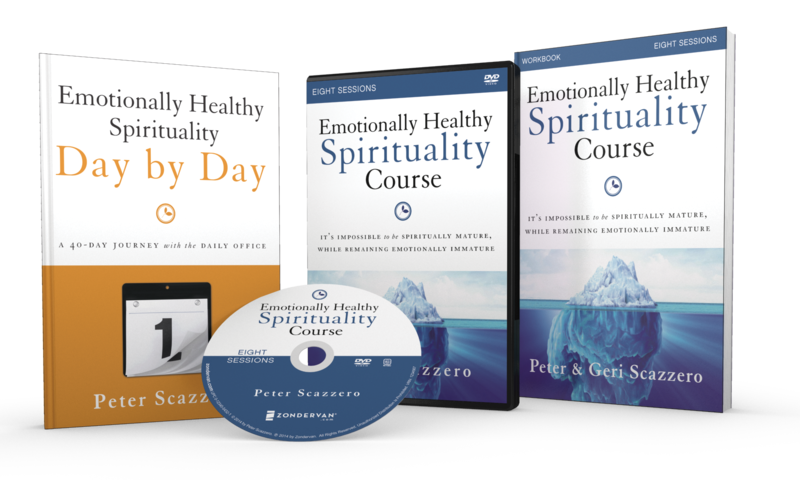 Peter Scazzero’s book, Emotionally Healthy Spirituality is an also must read for those who are leading the cell groups and program. Except for the sermons and the devotional booklet which are available free online, the others can all be purchased from the Cru bookstore. When we did ours we received free about 12 videos and 20 workbooks which were leftover from a gracious Evangelical Free Church that had completed its program earlier. One thing we emphasized throughout was that EHS is more than a program. It is a journey. It is a program that has a start and an end. It had systematic steps to get you to where it wanted you in order to fulfil the programs goals. Yet it was more than a program. It was an introduction to a journey – one that would take a lifetime to complete. The youth and the young adults were the first to launch into this. They did the program with the leaders of the youth and young adults’ ministry. It was a good faith formation as well as introduction to emotional health. This was later followed by the closure of all cell groups for two months so that all the cell leaders and their respective core team members could experience the program with the youth and young adult cell leaders facilitating the groups. When all these leaders have experienced the EHS we went on to do a church wide in March 2015. There were seven sessions but we added an additional lesson to prepare the ground and give an introduction to the whole program. We also made use of two breaks where people were likely to be away on vacation to have breaks so that the congregation had time to reflect, and to catch up on the new things they have discovered. The cell leaders were trained and briefed before the program started, and at mid-point we conducted an evaluation. The program ended with a final evaluation and exploration of how we can follow up on a journey we had merely begun. We gathered interesting program feedback from the leaders at mid-point. The people were struggling with the intensity of the program: the amount of reading, reflection and preparation required, and the depth of sharing required. Some were lost conceptually and were playing catch up most of the time. For young people it was difficult to look back at their short past but they shared freely and were vocal. The adults had a lot of past life and events to process but were not as open in their personal sharing. Most members did not do their workbook preparation. The program exposed many areas that the people needed to process with the Lord. We needed more pauses in the program for reflection and incorporation of new spiritual habits into their life. On the whole, everyone agreed that we could have gone at a slower pace and at greater depth so that the truths could get hold of people and reflection and life change could be deepened. Alternatively this is a survey, an introduction, and in the future we can spiral back to what we have learned: do workshops, retreats and sermon series that will help us revisit some of the practices, truths and things that impacted the people. One thing we did was to conduct a retreat using a movie and giving the people more time to work on the family genogram and to reflect on how their past upbringing affect their current behaviour, values and relationships. There is a stirring among churches to embark on this journey. There have been pastors that have us asked about our journey. 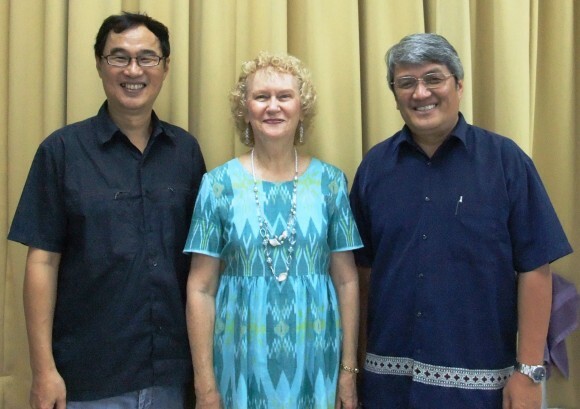 Whether from the Presbyterian, Baptist, Anglican or whatever denomination, there is something in this program that will introduce important values and practices to the church. The church today is too performance oriented. The era of church growth ended years ago. Enlightened church pastors are thinking church health and have stopped dancing around the sacrificial altar of the numbers game. We need healthy churches that birth and grow spiritually healthy disciples. The EHS program is certainly a good way to introduce important truths and values that will seed for a promising harvest: churches that will model for us a healthy spiritual rhythm in its church life and that loves well in the community. 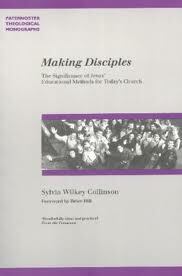 My main textbook was Making Disciples by Sylvia Wilkey Collinson. This is indeed a book that cries out for more readership. Well researched, readable and clear the author Sylvia Wiley Collinson has made a significant contribution to the slowly growing literature on making disciples. Not many scholars will consider this subject weighty enough to warrant their attention, and this is sad. The popular fare on this topic have been written by Navigators-influenced authors like LeRoy Eims, Dawson Trotman(founder), Jerry Bridges, Walt Henrichsen, Bill Hull, and Edmund Chan. The latter two authors have written quite a bit about disciple making in a church setting but the rest write of discipling in a context that is very much independent of the church. Doing discipling one with one or with a few. This is why I feel Collinson’s book has a place in the pantheon of classic books on discipling. 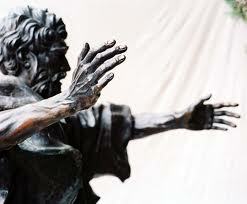 The book looks at discipling in the Greece, Rome, Egypt and other cultures surrounding Israel. Then she examines discipling in the Old Testament and in each of the Gospels, Acts, and the epistles. She refines her definition as she goes along. 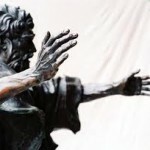 Attention is given to the differences and changes in discipling between the gospels and after the church was formed. Then she views all her findings in the light of surveys of Australian church life and compares what she learned of discipling methodologies with recent educational research. The conclusions are not earthshaking, but give you a sense that there is much to be done in reforming educational methods of discipling in the church.It is much more than just one with one; it has to do with the whole community, with culture and values education as well. It was a pleasure to be able to discuss the content with the author as well. In lectures and in interaction inside and outside the classroom, the subject can be absorbing and exciting. Dr Collinson was able to give perspectives that come from years of research in related fields, suggesting further resources and readings in various journals and books. The book is printed under Paternoster theological monographs and due to the niche demand, is rather expensive at $40 over. However it is worth the price and the time and effort to study and discuss it. Especially, for those passionate about disciplemaking in the church. How I wish S.U., the Navpress, or Campus Crusade could imprint a cheaper version and make it available to a larger audience at a lower price.